Perfect for any skin type, you will experience visible results during this cooling, calming, hydrating treatment. Your skin will look and feel years younger, visibly lifted, toned and hydrated. Intraceuticals delivers therapeutic oxygen under hyperbaric pressure to infuse hydrophilic active serums to the deeper layers of the skin. This application delivers a skin specific blend of hydrators, essential vitamins, botanicals, antioxidants and amino peptides into the skin. The infusion treatments produce a significant improvement in the appearance of skin tone, fine lines, pigmentation and wrinkles, while providing an instant visible lift for incomparable immediate results. These results continue to improve with repeated treatment application. Intraceuticals Oxygen Facial is a synergy of hyperbaric oxygen and low weight hyaluronic acid. Cooling, calming, pressurized oxygen increases the absorption and penetration of the low weight hyaluronic and improves your skin’s moisture levels while Vitamins and antioxidants protect and defend. the combination of Hyaluronic Acid, Vitamins A,C E and Green Tea result in instantly smoother looking skin with reduced appearance of fine lines and wrinkles, better volume and increased firmness. Your skin will emerge deeply hydrated, balanced and glowing with vitality. Results are not only instant but continue to improve in the following days, in conjunction with continued use of at home products. Intraceuticals is safe for all skin types. 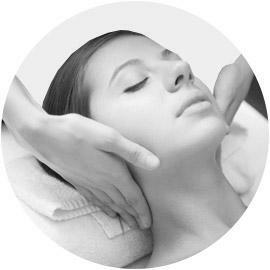 At The Gallery, we customize a treatment plan for you that enhances the skins natural function to heal and reveal healthy, hydrated skin. Intraceuticals oxygen treatment can be utilized in a series by itself or added to any microdermabrasion treatment, post laser, non-surgical and even facial surgery. This targeted treatment is the perfect, non-surgical alternative to more invasive procedures. An add-on to the Rejuvenate, the Atoxelene Treatment natural amino acids instantly firm, lift and plump your skin for a dramatically reduced appearance of fine lines and wrinkles. Skin Type: All – ideal for: fine lines and wrinkles, expression lines, prematurely aging skin. Get the best of both worlds! For even more remarkable results, allow the powers of the Rejuvenate and Atoxelene Treatment to combine and instantly reduce the appearance of fine lines and wrinkles while tightening and firming for more defined facial contour. We use the tagline ‘Instant Visible Results’ because this is exactly what you will get. From your very first treatment you will see results. Results are greatly enhanced with twice daily use of the Intraceuticals skin care products. Intraceuticals treatments are best done one week apart for 6 treatments. You can have a treatment as often as once a week. 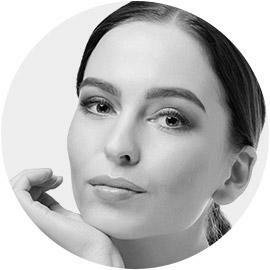 Intraceuticals provides instant visible results; however our products also have a cumulative effect; greater results are achieved with prolonged use. Our treatments work best with a series of 6 weekly treatments and then monthly maintenance treatments. Twice daily use of the prescribed Intraceuticals skincare range is essential to maintain and enhance treatment results. No, we do not test on animals, nor do we support this practice. We are very proud to be an Australian owned and Australian made company. Hyperbaric means at above atmospheric pressure. Hyperbaric O2 > Regular O2? Oxygen is a natural bactericide and helps to cool and calm the skin. Intraceuticals uses therapeutic grade oxygen under hyperbaric pressure to not only cool and calm the skin but also to assist in the rapid absorption of Intraceuticals treatments®. The hyperbaric pressure together with the Intraceuticals infuser generates an oxygen ‘pressure bubble’ which increases the saturation of the external skin tissue and thus assists in rapid absorption of the treatment. Intraceuticals treatments and skin care products are designed for all skin types. Particular treatments and products have been designed to meet the needs of specific skin problems. A skin care professional can tailor a treatment to meet specific skin requirements. 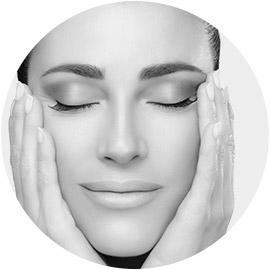 Intraceuticals skin care is clearly defined by range:- Rejuvenate – Anti-ageing – smooths fine lines and wrinkles, firms, tones, hydrates Atoxelene – Addresses expression lines- smooths fine lines and wrinkles. Opulence – Brightens and lightens – targets skin pigmentation Clarity – Banishes blemishes – calms inflammation and clarifies. ”I loved having my peel completed at the Gallery. The environment was very relaxing and I felt like I was in great hands. I’m looking forward to having a follow up Intraceuticals treatment early next week so my skin looks and feels it’s best for the Holiday! 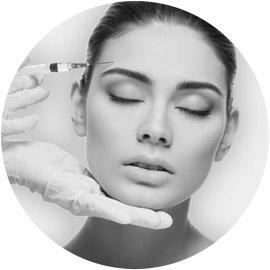 To schedule a complimentary consultation with Dr. Jonov or with questions about Intraceuticals Treatments at The Gallery of Cosmetic Surgery serving Kirkland, Bellevue & Lynnwood, WA.